Did the Greek Government headed by Syriza just make a military deal with Israel? That is to say, it is a pact in which Greece agrees to help the Israeli military—which has illegally militarily occupied and colonized Palestinian sovereign territory for almost five decades and which, practically bi-annually, demolishes infrastructure and massacres civilians and journalists (whom it deliberately targets when soldiers are “bored”) in Gaza. “We very much appreciate your visit here during a difficult period for Greece,” Israeli Defense Minister Moshe Ya’alon, former Chief of Staff of the Israel Defense Forces (IDF) and an aggressive war hawk, told his Greek counterpart Panos Kammenos at a meeting in the Israeli Defense Ministry. 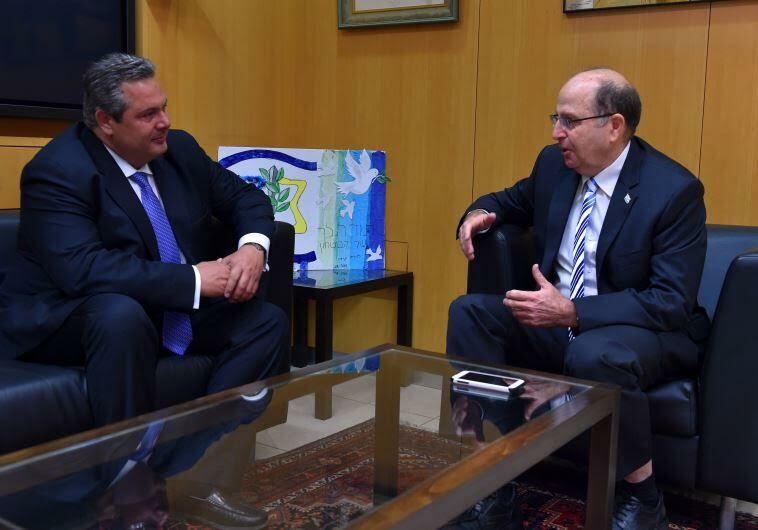 “This underlines the importance of relations between the countries,” Ya’alon added. Critics note that Syriza first compromised its fundamental economic values, agreeing to a Troika-imposed crippling austerity deal that the IMF (which profits off of Greece’s odious debt) openly admitted would not work and that a prominent economics professor warned will make it simply “impossible” for Greece to pay off its large debts. The Syriza government made this decision in spite of the fact that almost two-thirds of the Greek population explicitly voted against austerity in an historic referendum in early July. Now critics say Syriza has compromised its supposed support for the Palestinians, signing an agreement with the very military that occupies them—and not just any agreement, but an agreement that only the US, Israel’s closet ally, has signed. Is this move surprising? The answer to that question depends on whom one asks. In January 2015, an op-ed in the Jerusalem Post claimed “the victory of Syriza in Greece is bad news for Israel.” The opposite has been shown to be the case. To be clear, Syriza is by no means the first Greek government to stand with the Israeli military. Professor Aristotle Tziampiris, the Director of the Center for International and European Affairs at the University of Piraeus, has written an entire book about The Emergence of Israeli-Greek Cooperation. And it is crucial to note that not everyone in the Syriza party is happy with the government’s decisions to capitulate to an impossible-to-pay-off austerity and privatization package and to work closely with Israel’s military. Greek-Israeli businessman Sabby Mionis pointed out in an interview with the Times of Israel that “Several members of Syriza, including some who are getting government positions, were even [aboard] the Flotilla in 2010.” Mionis was referring to the Gaza Freedom Flotilla, which sought to bring humanitarian aid and construction materials to the strip. Israel prevents such materials from entering with its siege on Gaza, which the UN has for years ruled is illegal. On 31 May 2010, the flotilla was attacked by the very same Israeli military with which Syriza is now signing an historic agreement. Nine human rights advocates were killed by Israeli forces in the attack. Prime Minister Alexis Tsipras has demonstrated, however, that his preferred method to deal with this left-wing dissent within his party is by kicking leftist members out of his government.